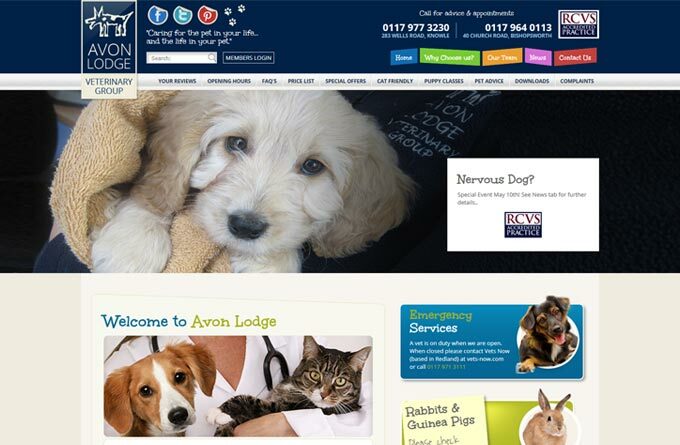 Based in Knowle, Bristol and open seven days a week, Avon Lodge is a privately owned veterinary practice. We offer exceptional care and expertise from a dedicated and animal loving team, and value for money. Our team has over eighty years of veterinary experience between them so you can be confident that we will get the diagnosis right for your pet, and always do our best for them. Recent extensions at Avon Lodge in Knowle added a large airy waiting and reception area, plus two large consulting rooms and a dedicated nurse clinic consulting room. As well as an in-house laboratory which enables us to rapidly diagnose your pet’s condition, we also now have a digital x-ray machine so we can be thorough and prompt with treating your pet. For more information on the services offered by Avon Lodge, please visit our website or drop in and pay us a call.